This was an area to which merchants gravitated, moving away from the rapidly filling downtown Dallas near the terminus where the Houston & Texas Central Railroad and the Texas & Pacific railroad crossed. Many small businesses grew up around it and by the 1890s there was a mixture of black & white businesses. Deep Ellum was filled with dry goods stores, new and old merchandise, pawnshops, tailor shops, grocery stores, shoe stores and even manufacturing (Adam’s Hats factory). Fair Store was opened by David Fair and located at 484 Elm Street in Deep Ellum (which appears on the West End of Downtown on a modern map), an area once saturated with Jewish and non-Jewish merchants. The Fair Store was a general store of sorts--with items such as shoes, instruments, watches, wrapping paper, and pistols-- as well as a tailor, with ready-made clothing and bespoke suits. David Fair began the "Immigrant Aid Society," a charity group of Jewish merchants in Deep Ellum during the early 20th century. 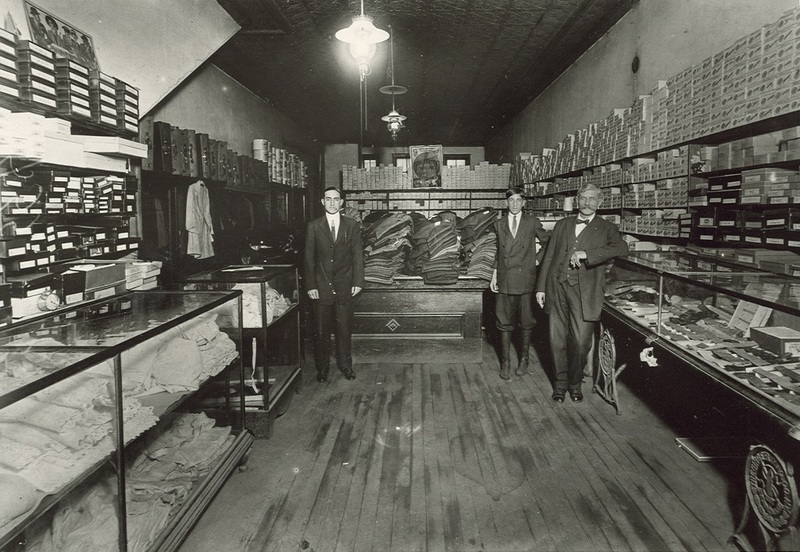 Morris Fair was born in the back of the store in 1899 and later followed in the family tradition to become a merchant. 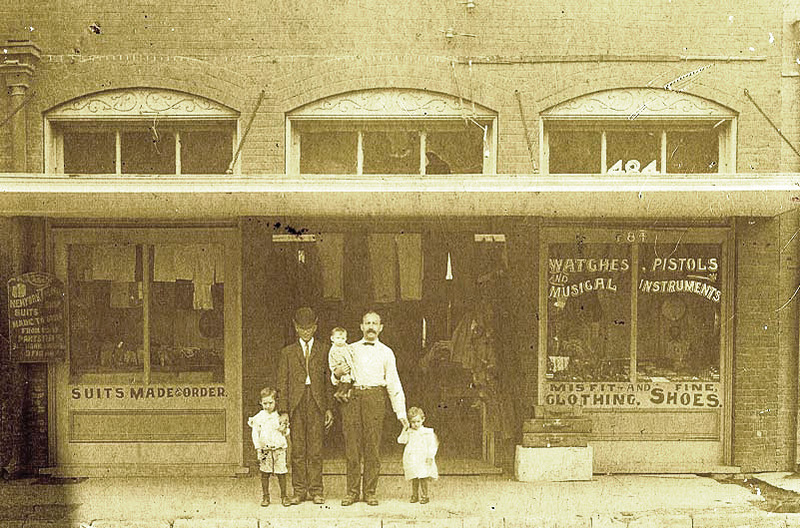 Three generations of the Barshop family members owned dry goods or clothing stores, or pawn shops, in the early-mid 20th century. 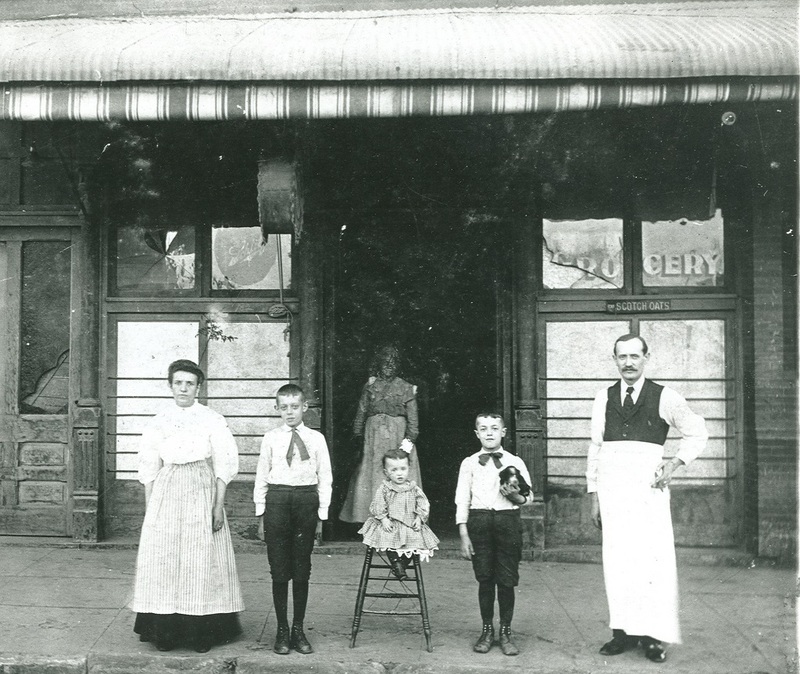 Barney Barshop was the original owner of Barshop Dry Goods, located at 1800 Elm Street in Deep Ellum; his son Max ran the store after him. 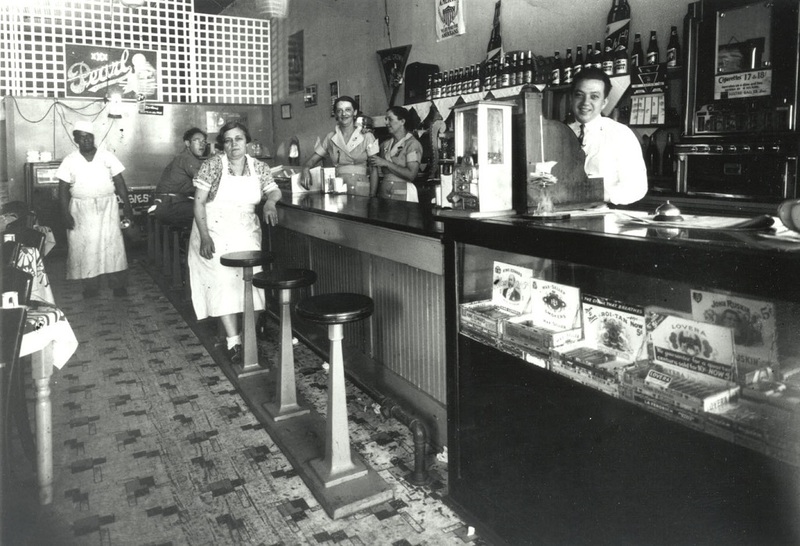 Mrs. Moskowitz Cafe was owned and operated by Mrs. Moskowitz, whose son Harry Haberman assisted. It was one of many Jewish cafes in Deep Ellum at the time, located at 726 Elm Street, and advertised Jewish and American cooking. Klar & Winterman can be found on the 1910 Dallas city directory. 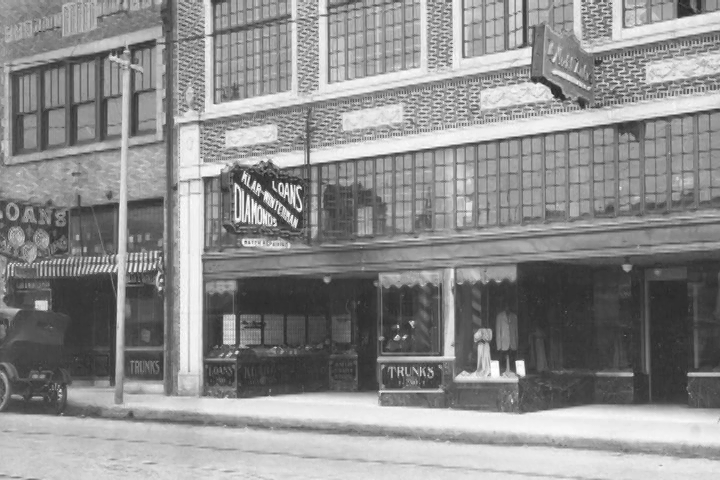 With its two stories and mezzanine, it was the largest pawn shop in Dallas when it was constructed in the 1920s. They carried all manner of goods--some was new, but most all of their merchandise was taken in on hock.